Advances in biotechnologies have been vital in the analysis of the DNA of the first peoples of America. Dr. Ripan Malhi, associate professor of anthropology at the University of Illinois, Urbana, discusses both the importance and the difficulty of this type of research. 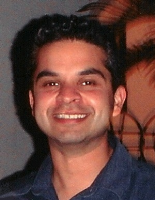 Dr. Ripan Malhi is an associate professor at the University of Illinois,Urbana’s department of anthropology. Based at the university, the Malhi Lab conducts a wide variety of genetic research. At present, the lab focuses on the evolutionary history of Native Americans and evolutionary genetics of non-human primates. In my molecular anthropology lab, we analyze DNA from indigenous community members to study the population history of Native Americans - from the initial peopling of North and South America approximately 15,000 years ago to the effects of European contact around 500 years ago and the rapidly changing environment that followed. In order to bypass the effects of European colonization and any biases that may be associated with it, we also analyze DNA variation from pre-European contact individuals by extracting DNA from tissues like bone or tooth from ancient peoples excavated from archaeological sites. In recent years, with the advancement of biotechnologies, we have been able to complete experiments that we never envisioned possible – like sequencing complete genomes of individuals who died thousands of years ago. I believe that community engagement and outreach is as important as the experiments we complete in the lab. Native Americans have experienced scientific racism in the past and continue to have antagonistic encounters with scientists today. To help change this relationship we developed the Summer Internship for Native Americans in Genomics (or SING) - a workshop to engage Native Americans in genomic research and discuss the ethical and social implications of this research. One of the workshop's long-term goals is to allow Native American scientists to be prominent in the community to lead research in a way that will allow them to incorporate their history and beliefs and diversify the way science is done. We can learn a great deal from the analysis of the ear wax of whales. In today’s Academic Minute, Dr. Stephen Trumble, associate professor of biology at Baylor University, explains how a whale’s ear wax can help us find definitive answers to a wide array of questions. How will your fantasy baseball team do this season? In today’s Academic Minute, Dr. Dae Kwak, assistant professor of sports management at the University of Michigan, discusses the psychological impact fantasy sports advertising has on even experienced players. Is there a formula for delivering an effective speech? In today’s Academic Minute, Dr. William Doll, visiting fellow at Case Western Reserve University, outlines a few rules for crafting an engaging oration.